Chrichton's World: Review Beyond Skyline (2017): Frank Grillo and Iko Uwais battling aliens with martial arts! 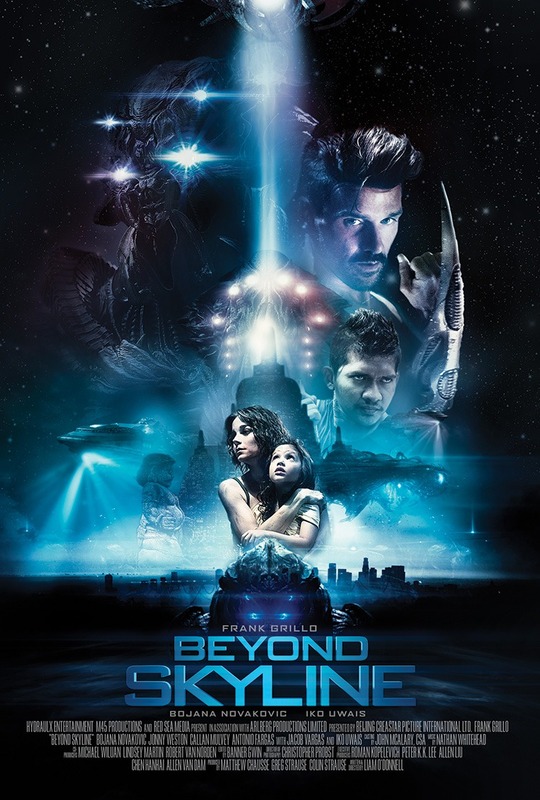 Review Beyond Skyline (2017): Frank Grillo and Iko Uwais battling aliens with martial arts! Skyline is nothing but a vague memory. I remember that I found it slow and boring for the most part until the last fifteen minutes where suddenly they decided to go ballistic. If only the whole film had been like that. Well, I got what I wished for with this semi sequel where things go awry and over the top pretty much within 8 minutes of the film. So is Beyond Skyline better than the original? Hell, yes! While it's super flawed and has some uneven pacing I can safely say that Beyond Skyline is superior to the original. The main characters are far more likeable and acting so much better. Besides it's almost non stop action. Mind you there will be scenes where you get some sensory overload and events won't always make sense. Don't worry though at one point things will be explained. Not all of it of course. And to be fair it doesn't really matter. Most important is to know who the good guys are and who not. The good guys are Frank Grillo as Mark, Iko Uwais as Sua, Yayan Ruhian as The Chief (you know Mad Dog from the The Raid), Callan Mulvey as Harper and Bojana Novakovic as Audrey. (I am very happy to see that Callan is doing so well. Ever since Heartbreak High he has been a favourite actor of mine. He is one of quite a few actors who have had a lot of succes). Obviously the aliens are the bad guys. But wait not all is what it seems. And that is as much as I will say about it since finding out for yourself would spoil the fun. Like I said the film can be uneven sometimes because too much is going on in certain moments. Often it's too loud and chaotic. I needed to avert my eyes sometimes to give them a break. I think writer / director Liam O'Donnell still needs to learn how to effectively intensify action scenes through story instead of violence and chaos. However don't despair. 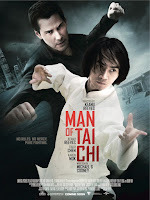 The finale alone redeems all the film's shortcomings where our main characters fight aliens using martial arts. It's totally insane but so much fun. My only gripe with the finale is that it's much too short. Last but not least the bloopers. They also showed how much fun they had making this film and that is always nice to watch. Beyond Skyline might be a little ambitious and chaotic for it's own good but there are enough moments that redeem the many flaws it has. So certainly worth your time if you want some mindless fun.